Has anyone thought about this, or is it just me. Do the human girls of Frozen kinda make you think about the Ginger vs Maryann paradox? Who would you like to bang? Elsa or Anna? I'm an Elsa man. I’m happy to announce that Made With Magic items are now available at Disney Parks. 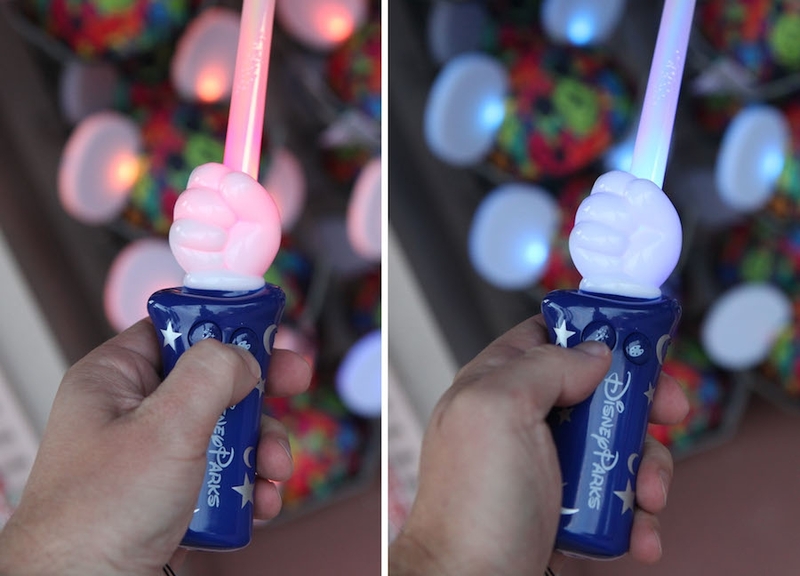 You may recall my recent Disney Parks Blog article about Made With Magic, the new name for products that light up and interact with select Disney experiences at Disneyland and Walt Disney World Resorts. I recently visited Fantasmic! at Disney’s Hollywood Studios to get a first hand look at these new products. As the sun set on another beautiful Florida day, I saw these items in action at the top of the Hollywood Hills Theater just before seating opened for the first Fantasmic! show. 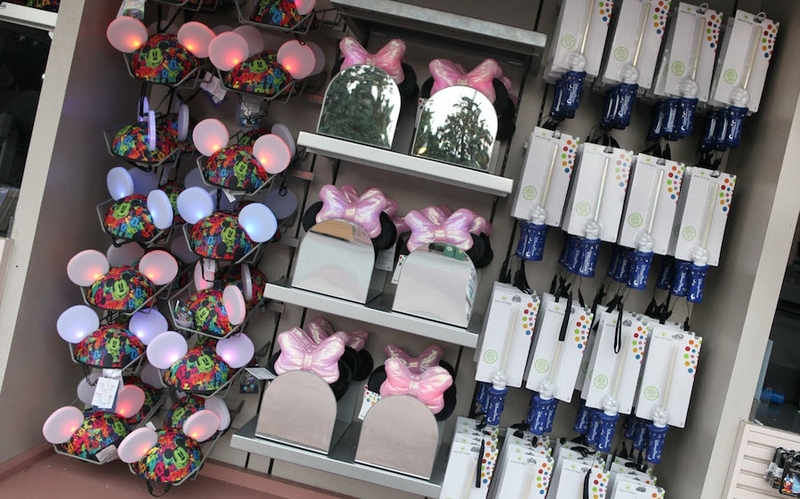 We currently offer a Disney ear hat, a Minnie Mouse headband and a Sorcerer Mickey wand. A light-up Mickey Mouse glove will be coming to Disney Parks in spring 2015. Each Made With Magic item has a retail of $25.00 (that retail includes tax). My favorite item is the Sorcerer Mickey wand as it has the ability to change other Made With Magic items. It’s pretty easy to use. To change the color patterns on the wand, press the artist pallet button. Once you find a color pattern you like, you can press the wand button to change other Made With Magic items. 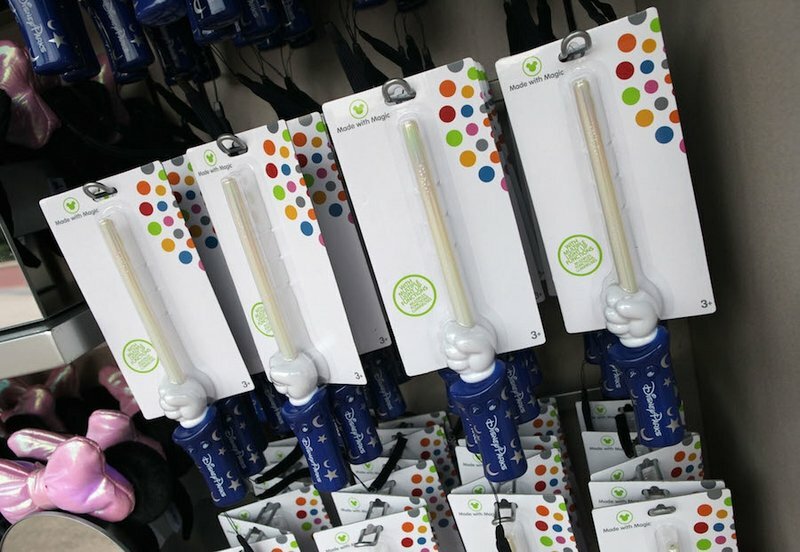 I changed an entire display of Disney ear hats with just one wand (I wonder if I can use this wand to clean up my apartment as that would be amazing). Look for these items in select merchandise locations at Disney’s Hollywood Studios and at Magic Kingdom Park in Florida. Guests in California can find these items in various merchandise locations in Disneyland park and in Disney’s California Adventure park. 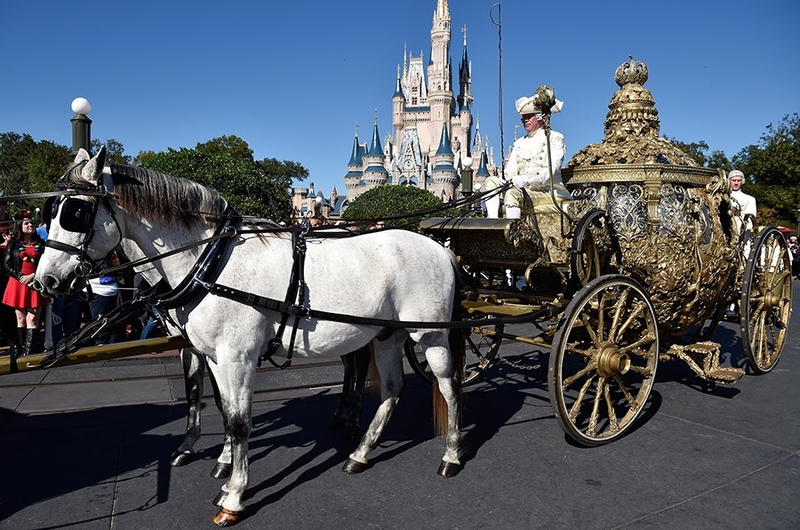 As a special holiday offering, guests visiting Magic Kingdom Park will have the opportunity to see the actual coach featured in the upcoming live-action Disney film, “Cinderella.” A team of white horses will pull the dreamlike carriage in special pre-parade appearances through the park and down Main Street, U.S.A. Inspired by the classic fairy tale, “Cinderella” brings to life the timeless images from Disney’s 1950 animated masterpiece in a visually dazzling spectacle for a whole new generation. The stunning, golden coach from the film will be gracing the parade route at Magic Kingdom Park through the holidays, and can also be seen as part of the “Disney Parks Frozen Christmas Celebration,” airing Christmas Day on ABC. “Cinderella” opens in theaters March 13, 2015. Not sure if this is in the right thread or not, Quick magic band question. Can you only get fast pass at the 90 and 60 day mark? Or can you get it for a last minute trip? If there's still availability for the particular attraction you want, you can book FP+'s up to (and including) the same day as your visit. I routinely do this with an AP...although availability often prevents me from doing so on the more popular attractions. tmhuber wrote: Has anyone thought about this, or is it just me. Do the human girls of Frozen kinda make you think about the Ginger vs Maryann paradox? Who would you like to bang? Elsa or Anna? I'm an Elsa man. You, sir, are disgusting. You should be ashamed of yourself. So anybody seen the new Peter Pan queue yet? It was mentioned in Attractions Magazine, I was just wondering if anybody could describe what it's like. Last edited by Nrthwnd on Sat Jan 10, 2015 1:03 pm. I'm starting to think of taking my family WDW for the first time for any of us. It will probably be in 2016 at some point but since I know very little about planning a trip for there I am starting early. It will be two adults and at least a 2-3 year old. I'm looking for information on when the best time to go is , maybe some resorts recommendations, and any general tips or tricks anyone may be able to share. We will probably for for 5-7 days. If this is the wrong thread for these questions and all of this has been discussed in another thread feel free to direct me there. Thank you.